Namibia’s Vulture species are in crisis – and two of the six species affiliated with Namibia are suspected to be extinct here. 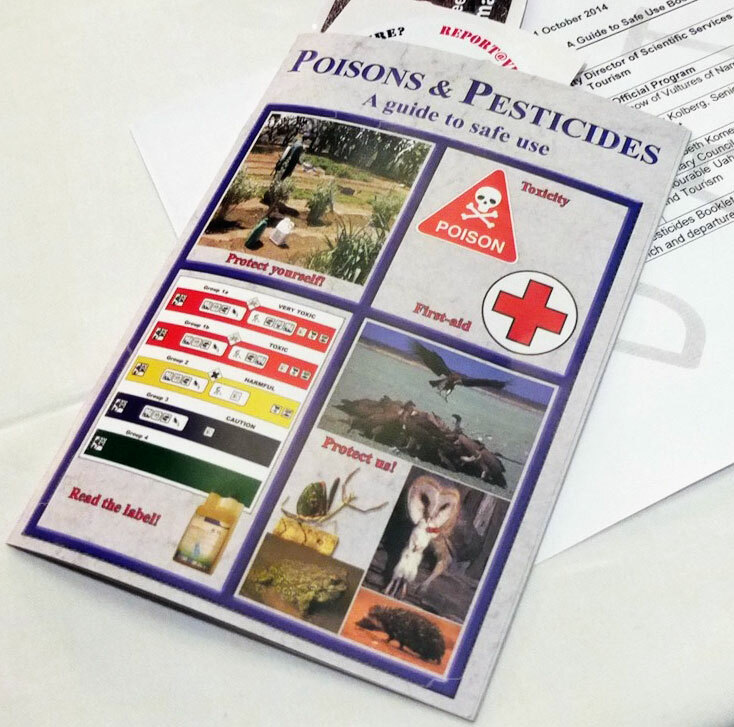 This was the dire and deeply concerning message shared by Holger Kolberg, a scientist at the Ministry of Environment and Tourism (MET) and a vulture specialist, yesterday at the launch of the timely booklet on POISONS & PESTICIDES – A GUIDE TO SAFE USE in Windhoek. 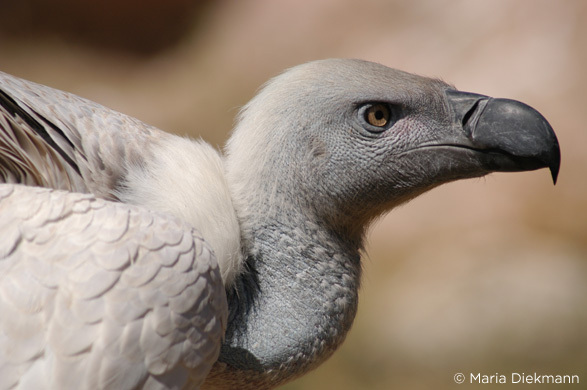 Crossed off – Two Namibian vulture species are in reality already extinct in Namibia. Indiscriminate and illegal use of pesticides and poisons are the primary reason for the drastic decline of vultures globally. 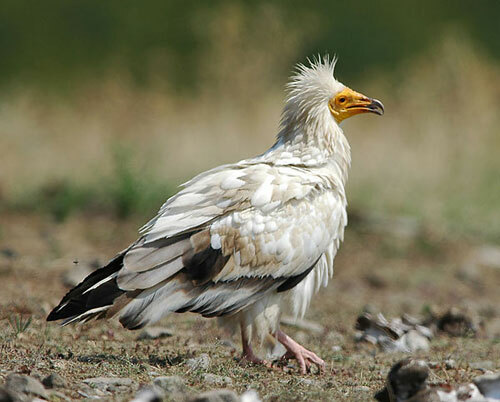 Kolberg explained that the Egyptian vulture (Listed as Regionally Extinct) has not been seen in Namibia in 30 years and the Cape Vulture population has declined to less than a dozen birds – some say to a one digit number in fact – In essence, this marks both species as “extinct in Namibia”, Kolberg said. Of the remaining four vulture species, all are designated as either vulnerable or endangered on the IUCN Red list of Threatened Species. – A vulnerable species is one which has been categorised by the International Union for Conservation of Nature as likely to become endangered unless the circumstances threatening its survival and reproduction improve. – An endangered species is one which has been categorized by the International Union for Conservation of Nature (IUCN) as likely to become extinct. Conservation biologists use the IUCN Red List, where “endangered” is the second most severe conservation status for wild populations, following critically endangered. White-backed vulture. Photo © Andre Botha. 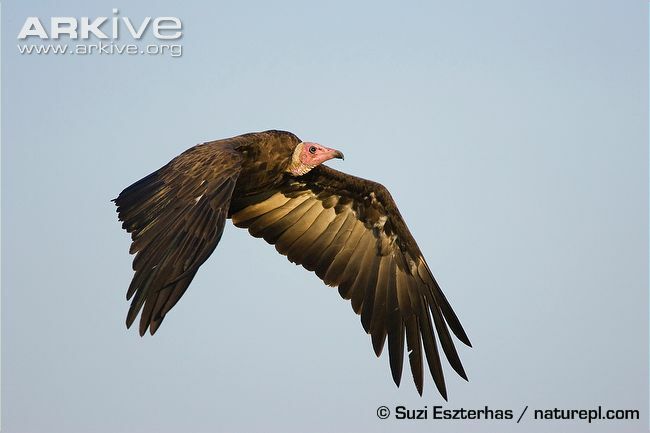 White-backed Vulture – listed as endangered. 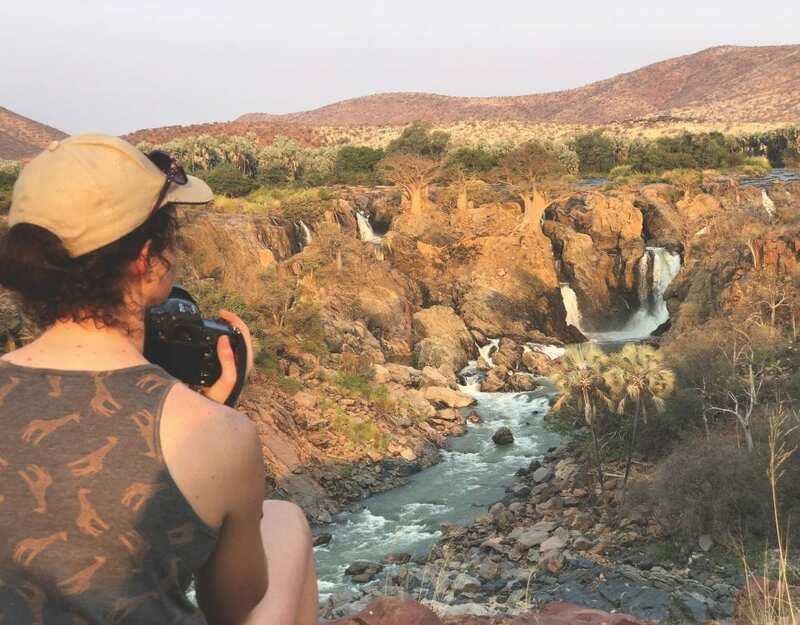 It is the most common vulture species in Namibia, but it’s IUCN status plummeted from “least concern” two years ago, to its current designation as “endangered”. The Lappet-faced Vulture – listed as vulnerable. 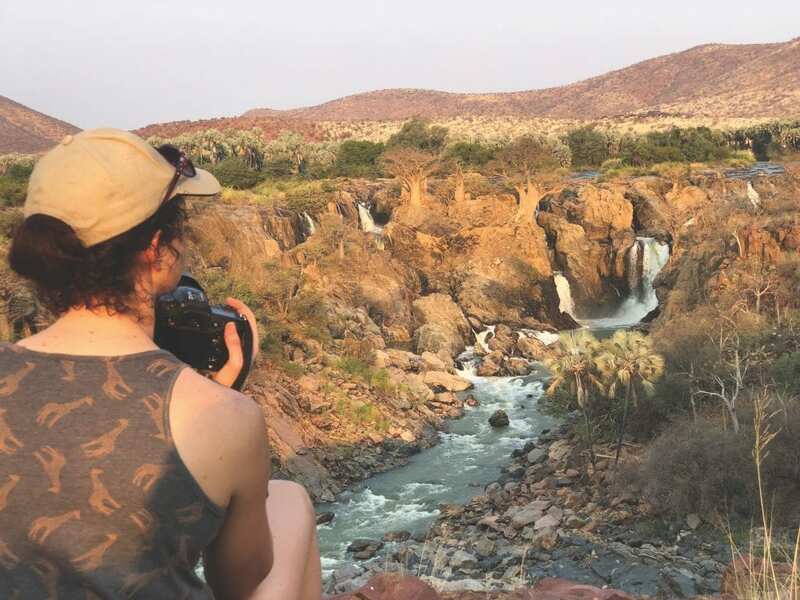 Kolberg says that along with the White-backed Vulture, these two species are the commonest in Namibia and the Lappet-faced Vulture has its breeding stronghold for southern Africa in the Namib Desert. Vulture caught on a camera trap. 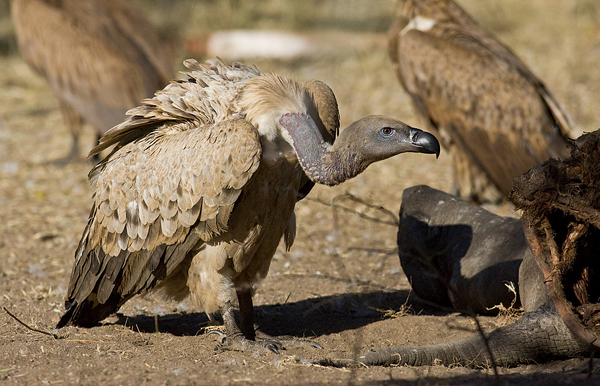 Amongst several threats faced by vultures, locally, regionally and internationally, is the indiscriminate and illegal use of poisons and pesticides. In 2013, Namibia reeled from the news that at least 600 vultures were killed when poachers injected the poached carcass of an elephant with poison. The act was deliberate : in order to shake of any suspicion of their activities, the poachers intentionally targeted the vultures. TO PUT IT INTO PERSPECTIVE: Four hundred vultures represent roughly 1 % of the Namibian vulture population. One per cent of the rhino population equals about 25 rhinos …. 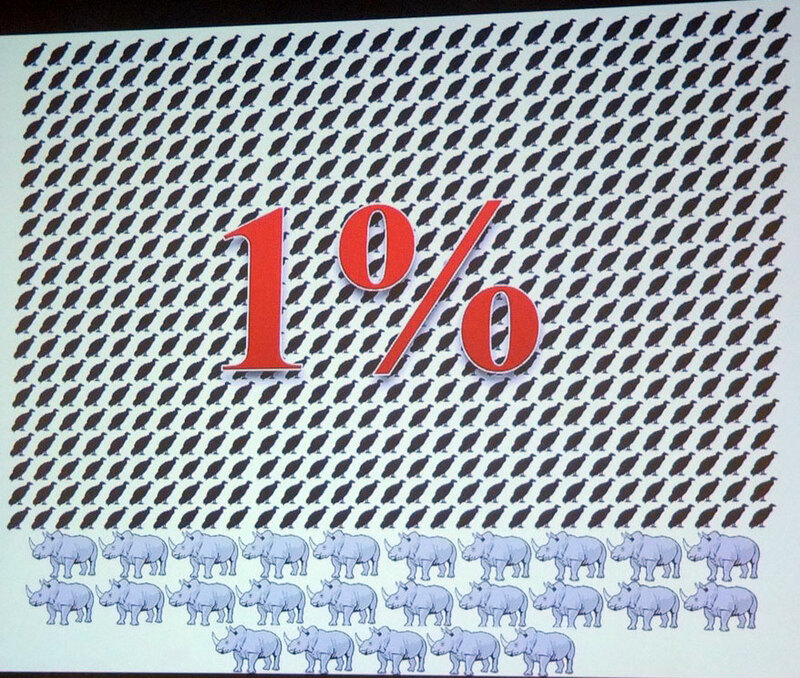 One percent: A mass poaching of 600 vultures equals a mass poaching of 25 black rhino. Imagine the outcry! Mass killings of vultures do not impact a single country. 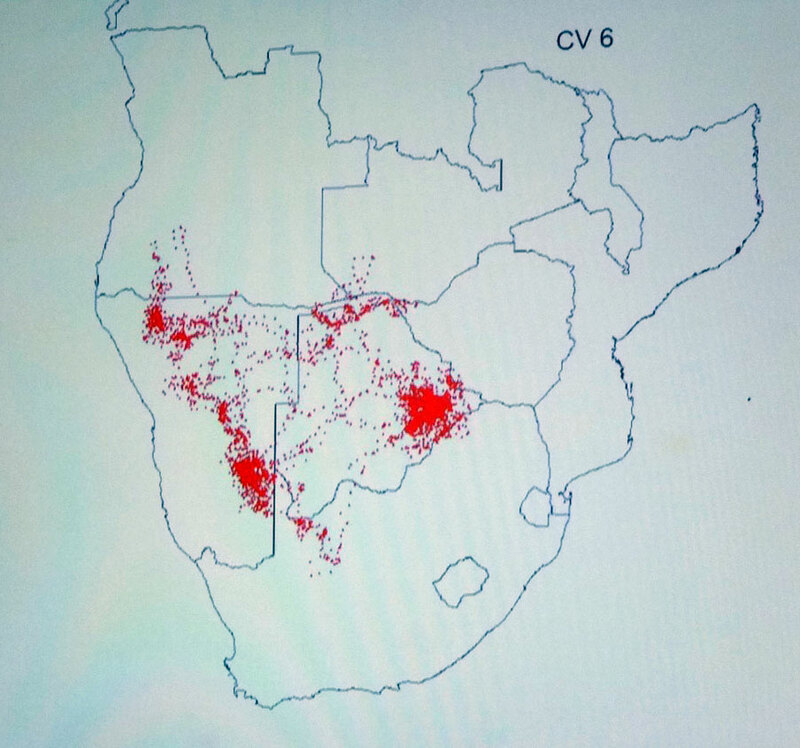 The monitoring of one vulture over the course of four years showed that the individual vulture – a Cape Vulture – had visited six countries – Namibia, Angola, Zimbabwe, Zambia and Botswana. “So if we poison vultures, it affects birds everywhere”, Kolberg warned. Other factors detrimental to vultures include electricity pylons, drownings and the use of vultures in traditional medicines. 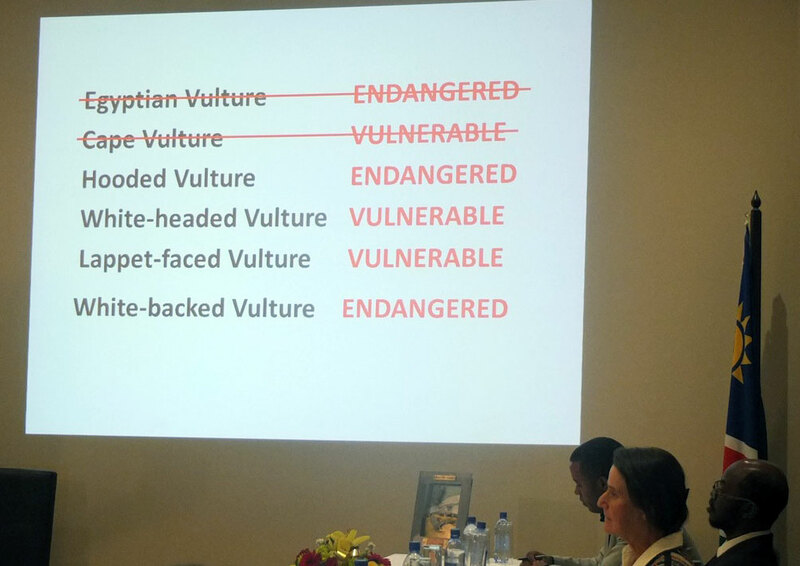 Kolberg emphasised that some of the ways in which conservationists are tackling the issue include regular counts and tagging of the birds, extensive monitoring and data collection (including citizen participation in vulture sightings), education – including involving farmers and their employees. 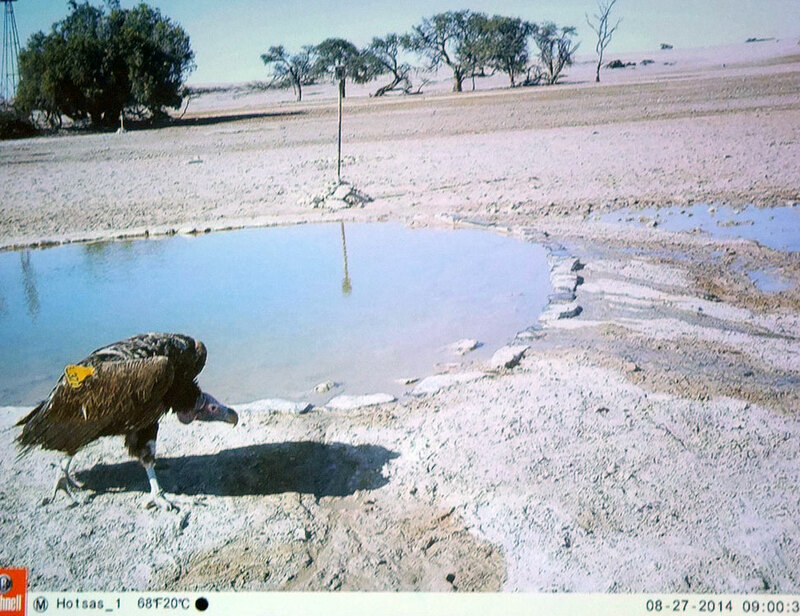 A major gap in the monitoring of vultures within Namibia are communal areas. According to Kolberg the reasons are a lack of manpower and and time.